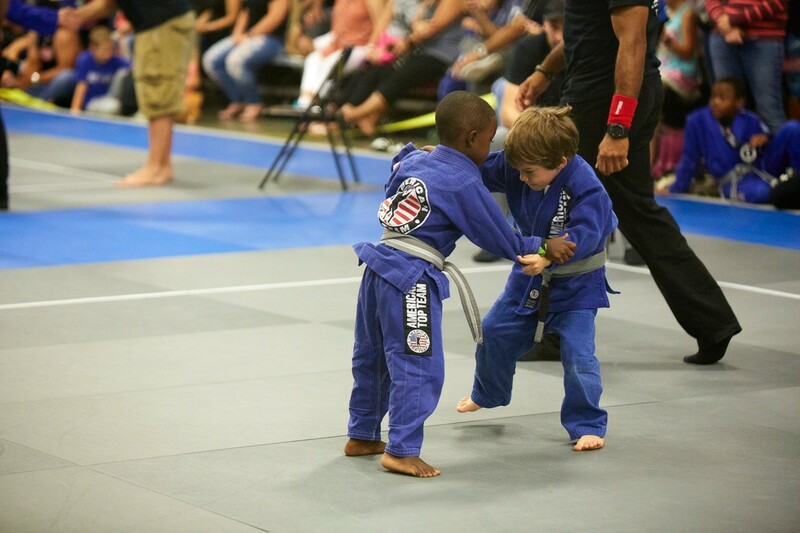 Parents of Kids Martial Arts Competitors: Read This Carefully Before Your Child’s Next Tournament! American Top Team Fort Lauderdale is very happy to have our students representing us in Florida State 2018 competition this Saturday 08/18/2018. How can you, as kids martial arts athletes’ parents, contribute to a positive and harmonious pre-event environment? Below you will find some important tips and advices so you can enjoy the competition and have fun with your child. Even if you understand about the sport, let the coach taking care of this point. Remember, excess of instruction sometimes can disrupt and lead to a misunderstanding. If you want to help your children, just ask about the instructions given by the coach. If your children say they are afraid of repeating the same mistakes, just be positive and remember them about all the right movements that were done before. Many parents get upset when their children lose a dispute. Even if the reason you got upset was not your children’s fault, your frustration can make them confused, believing that they need a good performance to be admired and loved. Make sure that they know you love them regardless of the result. We all know that is hard, and you feel like your heart is going to come out of your body because you get so excited and nervous supporting your children. But if they realize that you are worried and nervous, they will probably be affected by these emotions. Try to be controlled and just relax. Even if you are right and have your reasons, this is not a good behavior. Avoid talking that you could conduct them better. Your children need to be confident and trust on their coach. Avoid to raise expectations on your children’s result. Be careful saying that you want them to win or things like that. Expectations can lead them to get frustrated and can generate anxiety and muscle tension. They need to be relaxed to do well on the competition. Try always to motivate them saying positive things, saying that they had done their best, supporting then even in a bad result. They need to be confident and feel supported by their parents and family. Their self-confidence depends on you! Remember them that they will be surrounded by friends and family. Make sure to let them know that they will be engaged in a competition but not forgetting to have fun and enjoy the event. We are looking forward to seeing everyone dressed nice and standardized in the event, wearing the new t-shirts, and we are offering a 20% off discount for competitors and their family. Please make sure to stop by our front desk to get yours before the tournament! We look forward to seeing you there! Have a nice pep talk with your children and if you need further information, just ask us.